We started our adventure in the afternoon on Friday. Bags were packed. A car was rented. And we were on the road by 4pm. This helped us to beat the traffic out of Taipei and arrive at the trail head in Wuling Farms by about 9pm. From there, it’s a one hour hike in the dark to the totally empty Qika (七卡) Lodge. There are two lodges on the East Xue Trail, the first is Qika, the second 369 (三六九). 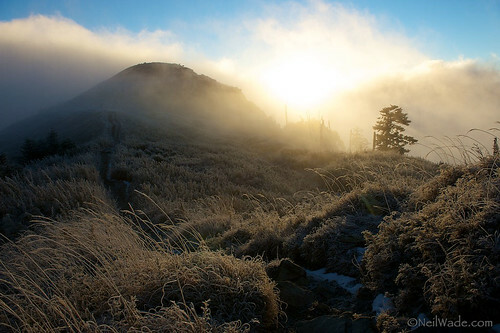 Most people start from trail head early in the morning and hike the 4 or so hours to 369. 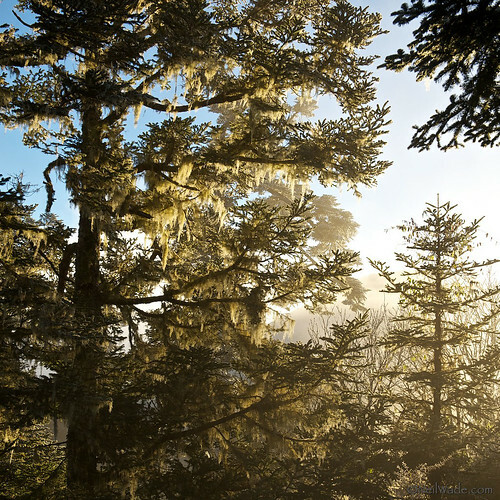 They sleep there, summit the next day, then either sleep at the 369 Lodge again, or head back down to Wuling before dusk. Our itinerary was a bit more ambitious. We woke up at the Qika Lodge at 3am after only a few hours sleep. From there, its about a 2 hour hike to the East Xue Peak for an amazing sunrise, then another 30 minutes to the 369 Lodge for breakfast. 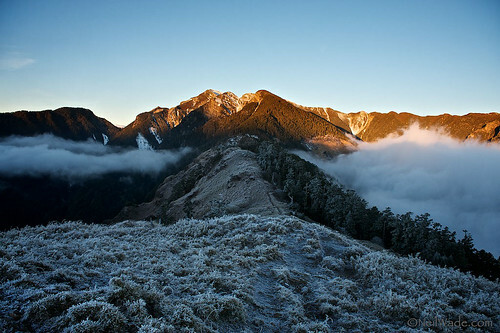 Snow Mountain (雪山) as seen from the East Peak (雪山東尖) on a beautiful morning. 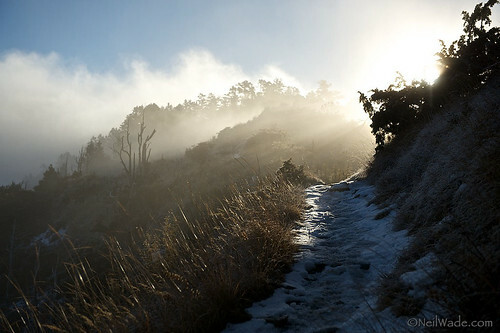 A grassy area of the East Xue Trail headed towards Snow Mountain in the morning. Lichen grows in forests all over Taiwan. Called Usnea, Old Man's Beard or Spanish Moss, lichen is a symbiosis of algae and fungus. 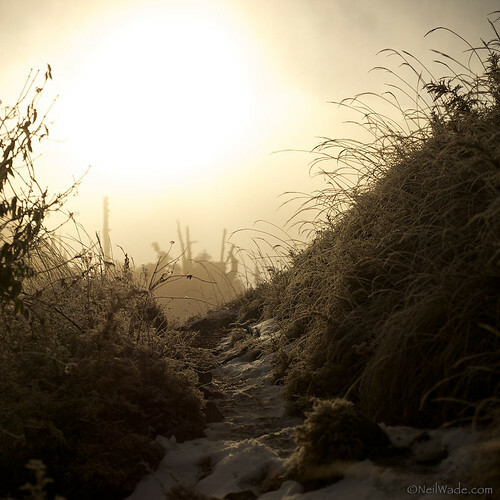 Sunrise on the East Xue Trail, headed towards Snow Mountain, Taiwan. Checking permits at the 369 Lodge. We left 369 Lodge at about 9am and immediately found ourselves in a beautiful grassy area. I think this is where the beauty of the national park really started to hit me. Walking through a wind swept grassland towards a place called The Black Forest, then on to a high mountain peak can help you to appreciate the beauty of the world. The areas immediately around the 369 Lodge is a strangely luscious grassland. This is due to the several fires that have occurred there in recent years. The grasslands end suddenly, and you enter the beautiful Black Forest. 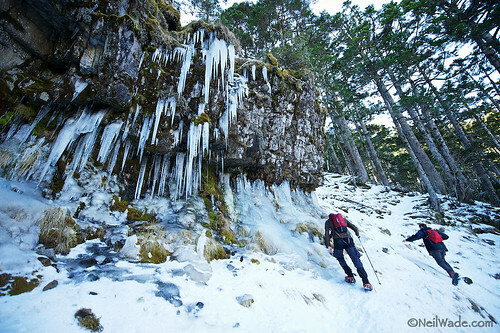 Having a look around the giant icicles that form on this cliff. 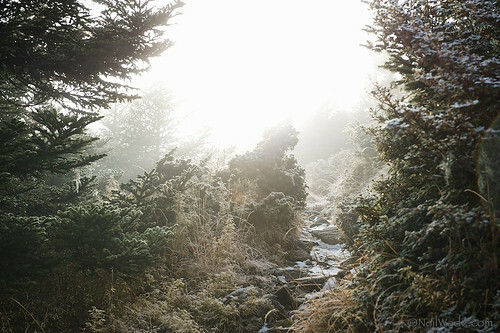 The last forested area you walk through on the way to Snow Mountain is called The Black Forest. 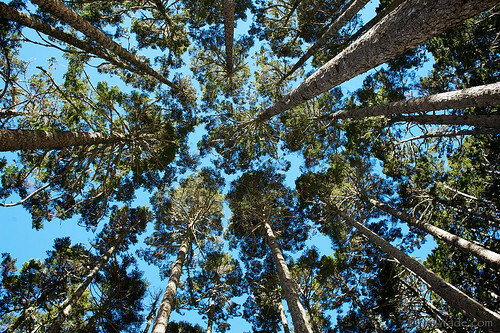 It's a pristine pine forest with tall trees and an unspoiled environment. 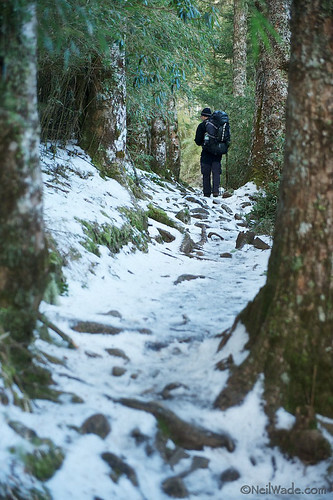 The hike to Snow Mountain 雪山 goes through a variety of interesting ecosystems. After the beautiful forest, we entered the alpine cirque. 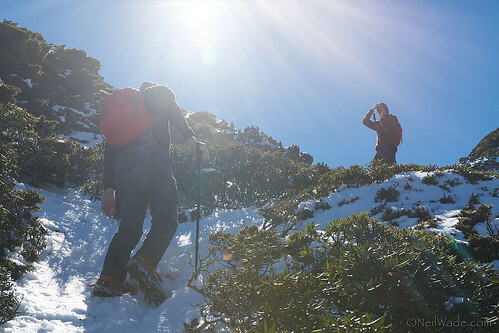 I remember feeling particularly fatigued at this point, as we had been hiking for nearly 9 hours on only 3 hours of sleep, but the allure of the deep blue sky and the site of the nearby peak drug us on. In the alpine cirque of Snow Mountain, just a few hundred meters from the peak. 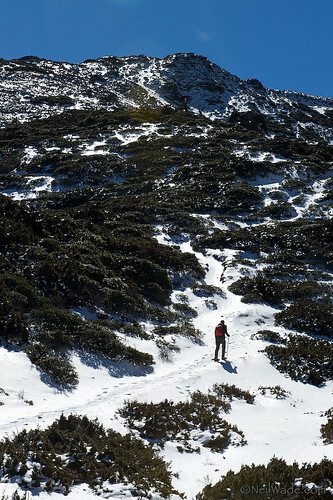 The alpine cirque of Snow Mountain, just a few hundred meters from the peak. 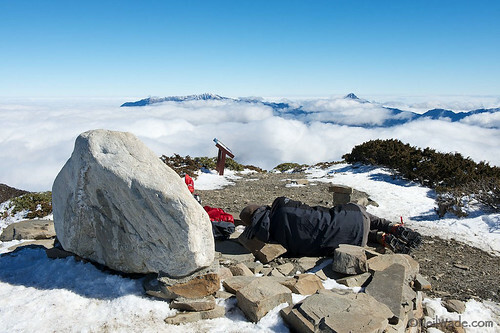 Nap time at Snow Mountain Main Peak. 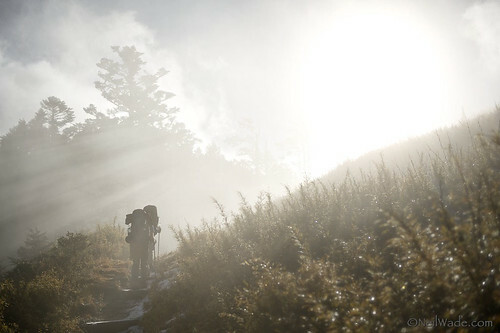 On long, grueling hikes like this one, its amazing how tired your body and mind can become. Still, the beauty of such places is amazing, and the peaks of mountains not yet climbed teased us by peaking through the clouds. A collage of details found on the Xue Hiking Trail in Shei-Pa National Park, Taiwan. We summited at about 1pm and took a few minutes to enjoy the view over the clouds. Off in the distance, we could see the peaks of mountains that we have climbed in the past and others that we hope to climb in the future. Occasionally, when the going gets tough, we ask each other why we do these things, but at moments like this we only ask each other why others don’t. 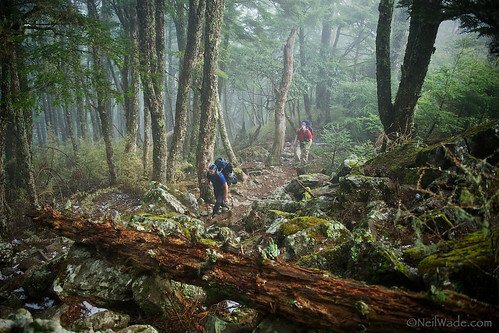 Hiking on the East Xue Trail in Shei-Pa National Park, towards Snow Mountain, Taiwan's second highest mountain. Various kinds of flora line the trail to Snow Mountain (雪山), Taiwan. 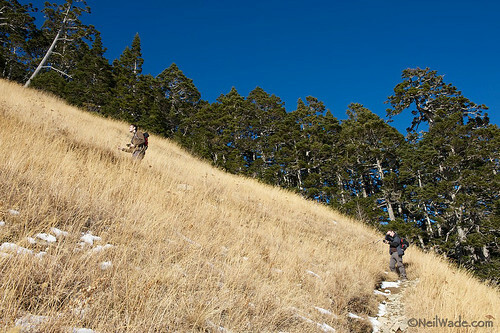 Sometimes open fields, sometimes dense forests, here the trail goes through a mix of small pines and grasses. You can click on any of the above images to see them larger. You can also go to my portfolio website to see dozens more images that didn’t make it into this post. I think this collection might be my favorite so far. Great work Neil! wow! i can feel the cold too from seeing your pictures! niceee! I have been following you, and Im trying to report my life here in taiwan through pictures, but intended to hispanic speakers.. thank you for your amazing report. Great pictures! 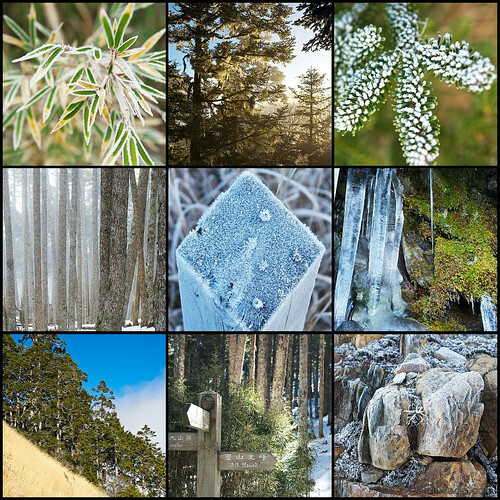 I did snow last December, just a few icicles in the Black Forest at that time. Hope I get the chance do climb it in ‘*real* winter some day. Great article Neil. Really like how you process your pics. Thanks Brent. Actually, most of these have a very minimum amount of post processing. The light was just that nice! When I look at these It’s hard to believe that a relatively short distance away (on this quite small island) there are millions of people stuck in concrete apartment blocks! Awesome pictures and very inspiring! Excellent series Neil! I especially like the eighth photograph down. The shallow depth of field in the black forest pic really makes it special. I didn’t know there was snow outside of HeHuan Mtn. Anyways – great pics! 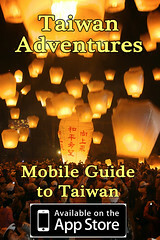 For travel opportunities to Taiwan – check out my link!